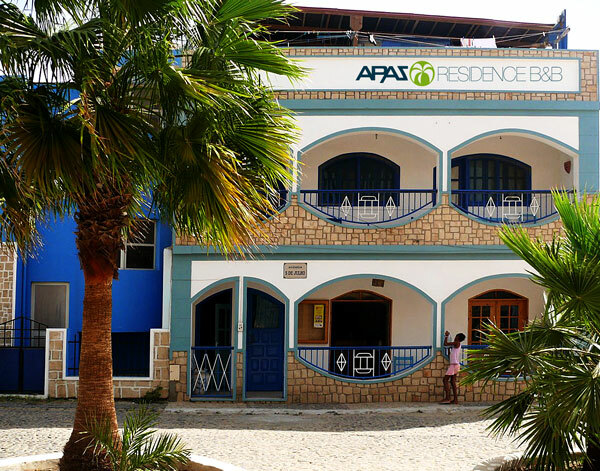 The residence A Paz was one of the first Hotels on the beatiful Island Boavista/ Cape Verde. 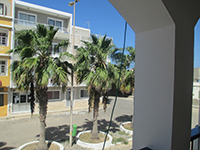 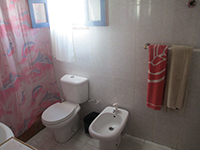 The location can`t be better, as it is situated directly in the center of Sal Rei, which is the biggest village on Boavista. 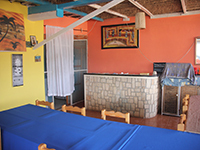 By taxi it will take you only 10 Minutes to come from the Airport to A Paz. 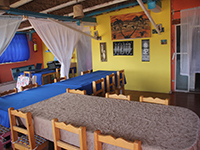 Because of the good location every visitor can reach the beach, supermarkets, bars and restaurants easily by foot. 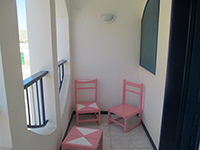 Although we are situated in the middle of Sal Rei our guests can reach the beach in a time of 5 minutes walking. 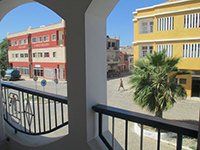 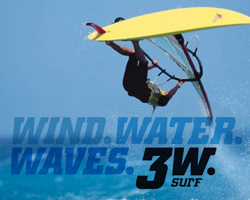 This will be an absolute highlight as Boavista is known for its beautiful beaches of more than 50 Kilometers.Near Sal Rei you can have fun with surfing, windsurfing, kitesurfing, snorkeling and diving. 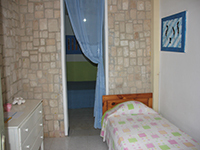 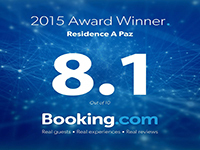 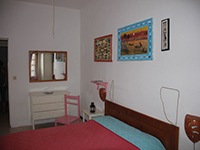 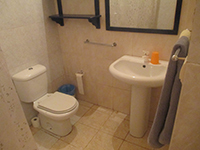 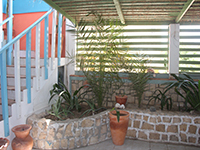 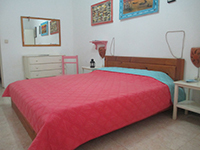 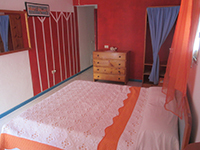 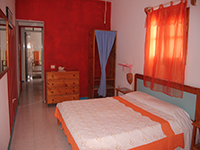 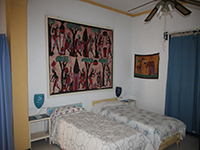 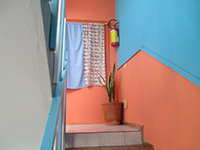 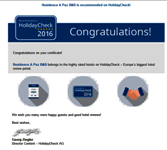 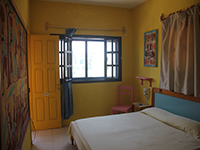 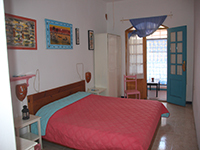 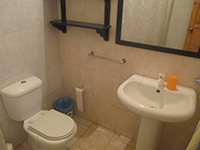 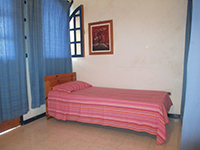 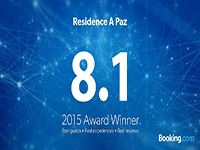 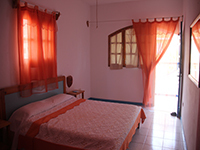 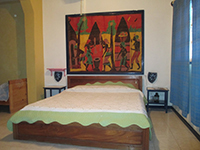 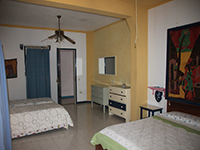 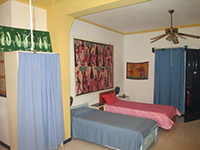 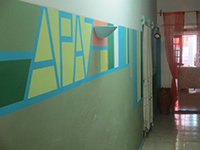 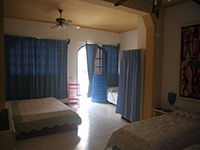 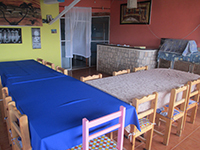 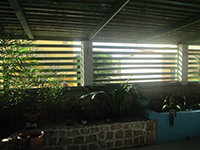 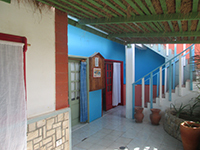 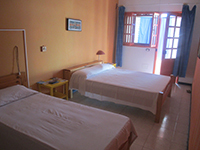 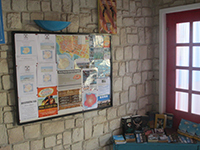 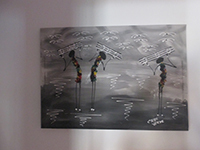 The B&B Residence A Paz is a family runned Hotel with 9 rooms of 2 different categories. 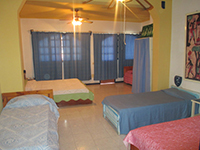 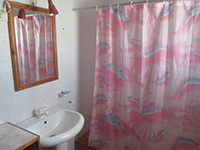 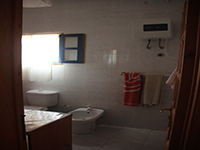 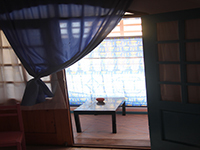 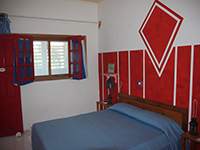 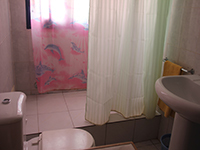 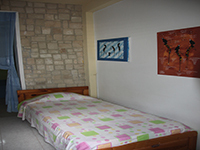 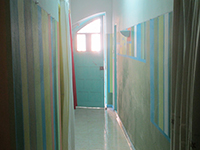 The standard rooms with bathroom and fan and the superior rooms which have a balcony additionally. 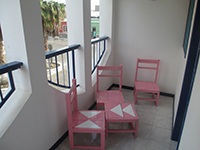 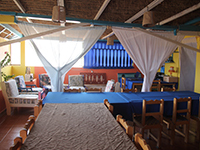 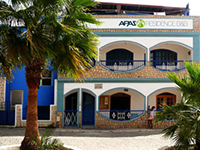 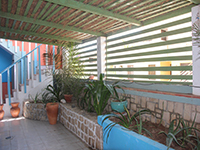 It is a place to feel comfortable and to get to know the life on Cape Verde with prices starting from 35€ per night with included breakfast. 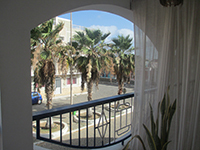 In A Paz our guests can start the day with a breakfast on the terrace and enjoy the seaview during the first moments of the day. 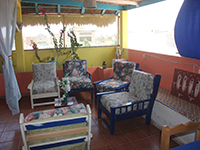 The restaurant and bar on the roof of the Hotel is open during the day for relaxing, having a cold drink, lunch or even dinner in the evening.